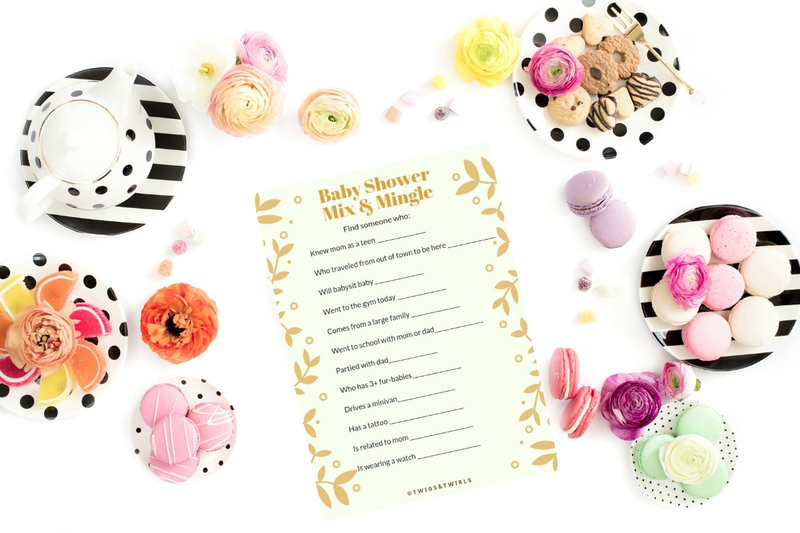 Baby Shower Guest Activity Game- FREE DOWNLOAD! 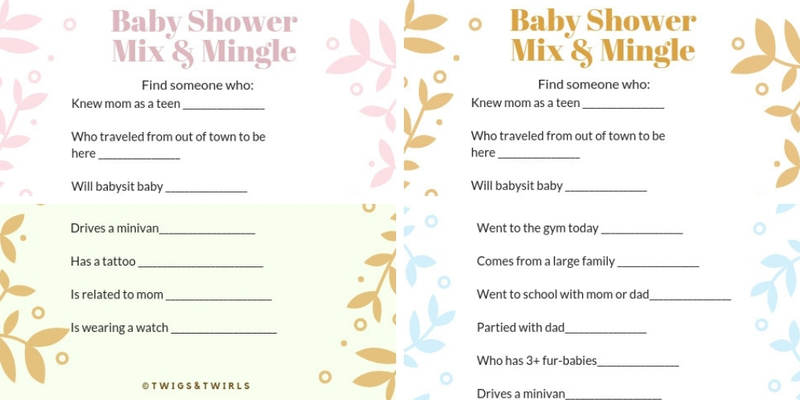 Here is something fun to encourage your baby shower guests to interact and get to know each-other. And guess what? It is free? Enter your email below - subscribe to our list and you will be provided the link to download these as a pdf to print at home. Choose blue, pink, gold or mint and gold and print 1/page or 2/page. *Items are ©TwigsandTwirls and for personal use only. You may freely copy and distribute them at your baby shower you may not sell or profit from them. Posting download link in public forum is considered a violation of TOS.